Well that TOTALLY made my day!! Now if we could only get them to other places in the country! I have a serious case of Starbucks withdrawal! When I lived in Sweden I was dying for a Starbucks. Then I thought about how wonderful it was not to have them...they kind of seize and concur anywhere they go. Regardless, make sure you try the "eggnog latte" around Christmas. It's the best! Hi from Washington, DC. Aw I wish Starbucks would open here in Holland; I love Starbucks!!! 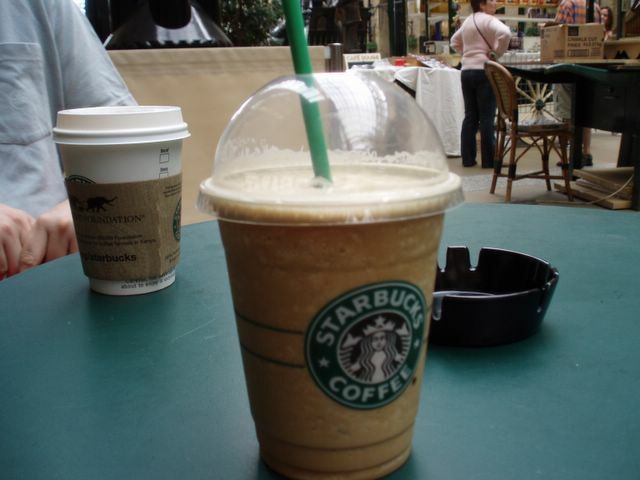 I'm totally surprised to hear that you haven't got Starbucks coffee houses in Sweden. Here in Vienna some of the Starbucks places have closed down again but we still have about 10. I also like Starbucks - especialy in winter, when they offer smoke-free coziness.